Why not Van Nuys Bl. at Oxnard? 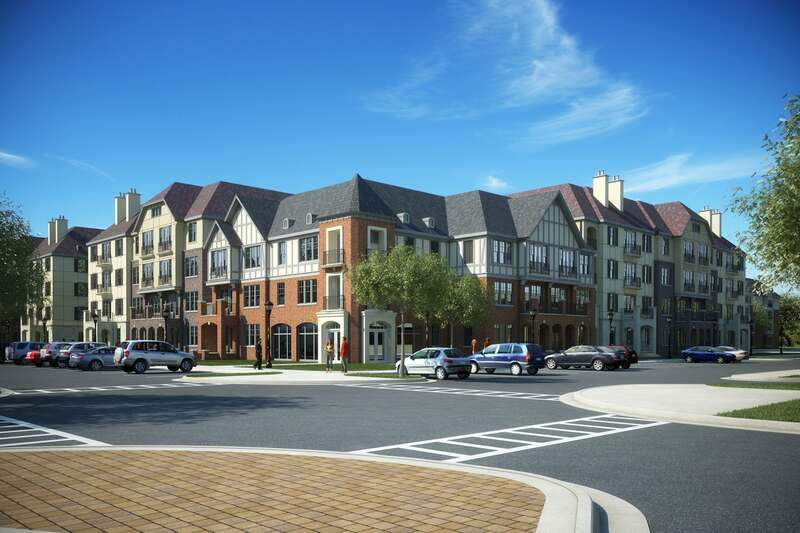 On Architizer, an architectural website, I found a photo and description of a residential/commercial development built in Mountain Brook, AL in 2014. Pleasant, as all ideal architectural plans and photos are. Why couldn’t buildings like this go on the NW corner of Van Nuys Bl. and Oxnard St.? Where currently there is a large, unoccupied glass building that once housed a car dealer (what else?) it is now a yawningly empty welcome to the alleged business and government district of old Van Nuys. The Mountain Brook, AL buildings (architects: Wakefield Beasley & Associates) anchor the street with ground floor shops, landscaping, sidewalks, trees and diagonal parking. They invite people to walk and to park in front. 276 apartments are built above the stores, with one, two and three-bedroom plans, and are spread between the structures. Various modern amenities, including fitness centers, parks, yoga and meditation areas, wifi, are added to entice renters. 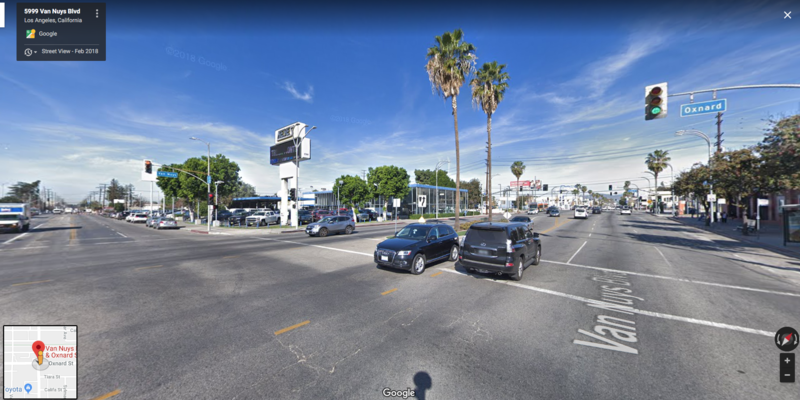 What is it that makes this type of building a dream and not a reality on the main street of Van Nuys? Why, in a city starved for housing, is there not a furious effort by Councilwoman Nury Martinez and the City of Los Angeles to rev up the pace and quality of apartment construction? Stylistically, the traditional look of this building would probably elicit snickers from the Christopher Hawthorne/Frances Anderson crowd. It is much too literal and polite and pseudo-historic for a cult which takes its abstract, contorted meals at Frank Gehry’s feet. But Van Nuys is starved for anything that can bring us up from the homeless, trashy, neglected place we are today. An above-average, but suitable design such as the one from Mountain Brook, AL is better than shopping carts full of garbage and people sleeping in cars. It would work because it cares about the urban context around it. Becaaaaaause, Andy, what might be $1500 a month back in Alabama would easily be $2500-3500 a month here in Van Nuys (pun intended)! Besides, with the mexican gangs firing off rounds, who would want to spend that kind of money to be in “the center of life”…in gangsville? If you wanna see how things turn out, continue researching those new units on Kester and south of Victory. When I was younger, that entire area was part of the “No Delivery” Zone for most delivery services. Don’t look to judge; ask the neighborhood what they did for such a thing to have happened? When was it a “no delivery” zone? Just curious. 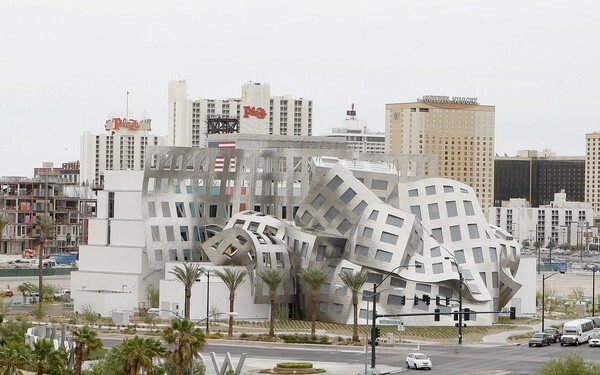 The Gerhry structure is the Lou Ruvo Center for Brain Health. A rare example of form matching function. In LA we would turn it into a……. Mountain Brook comes with advantages over VN Blvd and Oxnard…….it’s one of Birmingham’s wealthiest suburbs…. Of course you could easily Californiate it with a Mission tile roof…..Presto. TY for the bit about Gehryism. The most overrated of starchitects. I have friends who gush about the Disney. I show them pics of the above (Lou Ruvo Center for Brain Health in Vegas). I tell them that if you don’t brain issues now, you will after staring at that pile of aluminum long enough. =) That’s nothing but an imitation of Berlin, May, 1945. How could it be anything but? (Ironic that…the stylish, retro-Deco, somewhat evocative of LA Union Station (to me, anyway) Smith Center is just around the corner from that hunk-a-junk. And circling back to Mountain Brook. The truly astounding thing is, apart from the weather, the overall quality of life is arguably much better in a place like suburban Birmingham than it is in much of Greater LA. Imagine saying that in 1970. Mountain Brook may be wealthy, but I would guess that the entire City of Los Angeles, has many more billions to offer its citizens than Mountain Brook, making our disgraceful condition all the more lamentable. The bottom line is we are poorly governed by weak and ineffective leaders who lack courage, imagination and leadership. They fall back on pandering, picking one issue (Nury=women’s rights) and ignoring all the other quality-of-life problems that plague our city. The basic reason these LA politicians act as they do is for resume padding. They want to get ahead to get elected to Congress and become even more powerful and more respected. How is it that over one year ago Mayor Garbageciti created a ridiculous paid position for a Chief Design Officer whose function we still cannot surmise. There is not one reason in hell to have a design czar in a sprawling city of billboards, mini-malls and stucco houses with concrete front yards and metal gates. The only design that matters is to alleviate suffering, which means making civilized housing for all people of all incomes to live in. ← New Housing at Old Bank.